High-Performance 32-Channel MADI Expansion Card for X32. The X32's expansion slot provides flexible and expandable connectivity for many different applications. The X-MADI Expansion Card can easily be installed in place of the X-USB card that is included with the X32. 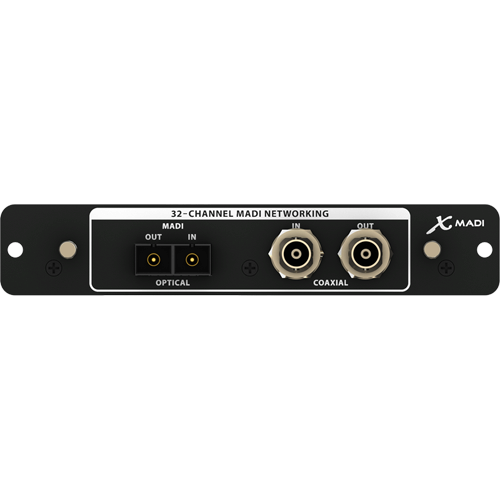 The 32-channel interface brings even more I/O options to the X32 by instantly enabling it for MADI networking. The MADI or AES10 protocol is quickly becoming an industry standard in many broadcast applications.